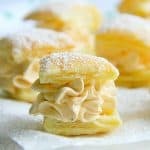 Want to make an easy, quick dessert? Then look no further because these No Bake M&M Peanut Butter Delights are just what you are looking for! When I was a kid I remembered we used to always make no bake peanut butter delights. We would line the wax paper on the counter tops and mix up all of the ingredients in the big pot on the stove and then we would drop them on the wax paper and allow them to cool. It was hard waiting for these to set. 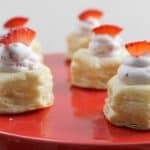 When my kids had snow days this week, I set out to make an easy treat to have for them. Something I had all of the ingredients for and something that would not take too much effort. So glad I did! Because this brought back my childhood memories as I made some with my own children! I did have to tweak the original recipe because there was one ingredient I didn’t have. Cocoa powder! I had the container in my baking cabinet and when I pulled it out and opened it up, empty! Completely empty! So I had to figure out a way to add the chocolate and then my eyes landed on my almond bark. I have a package of it in my cabinet and thought that it could work. It did!! Also to bump up the flavor of the peanut butter I added peanut butter M&M’s. So glad I did that as well. It added a little color to them which made them just right! ENJOY!! quick easy no bake treats full of chocolate and peanut butter flavor! Prepare a cookie tray by lining with parchment paper. Add oats to a large bowl and set aside. In a microwavable bowl melt almond bark for 1 minute or until completely melted. Stir and set aside. In a large pot on medium heat bring to a boil sugar, milk, butter, vanilla, and almond bark. Boil for one minute. Add peanut butter and stir till melted. Pour over oats and stir till combined. Add in M&M's and stir. Drop onto parchment paper. Allow to cool for 1 hour and ENJOY! This recipe makes 15 delights. You can also place in freezer after you drop onto cookie sheet and they are ready in 20 minutes! 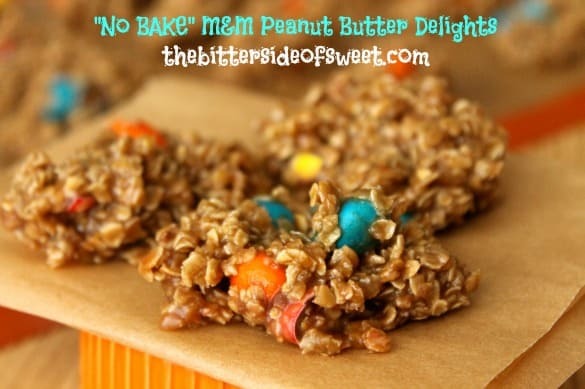 I love anything with M&Ms in them and being no bake is perfect for a quick sweet treat! No bake is the best part Deb! Thanks! 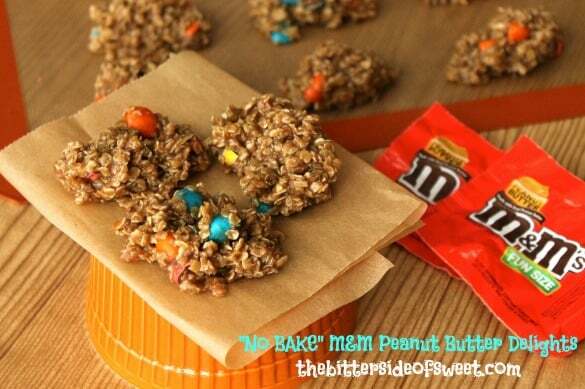 I love no bake cookies like these! That is the best part of them!! Thanks Angie! I’m always craving peanut butter and chocolate. I’m certain this will cure any craving I have! Great recipe, thank you! I love this type of recipe. No bakes are a great way to get kids in the kitchen. My little one will love this one. It is the best way to get them into the kitchen. They have such a great time! Thanks Christie! 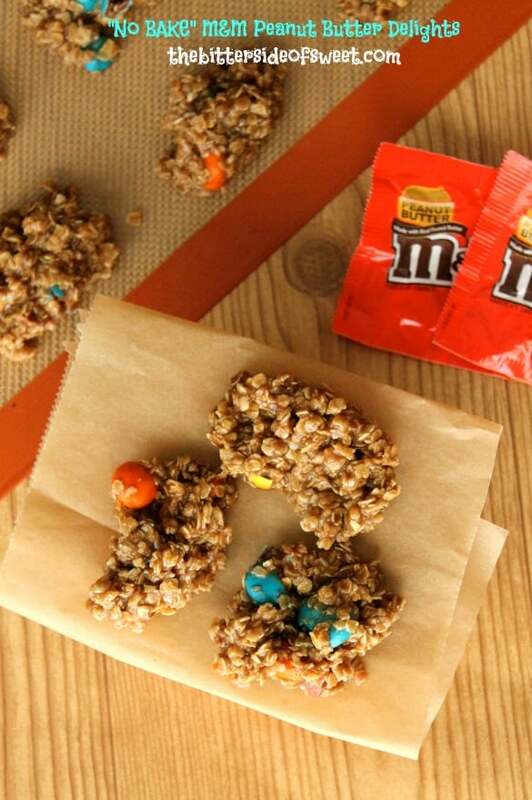 Peanut butter M&M’s are some of my favorites (okay fine I love them all) and this looks so easy to put together. I love them all too Susan! Thanks! I know EXACTLY what you mean Erin!! Seriously could too! Nancy, I am in LOVE with these! I’ve made a different version of this all while growing up…. and simply cannot stop at just one! But, I love how you added the PB M&Ms. Now I’m craving these right now! Hmmm, only takes a few minutes to whip up…. Totally pinning AND going through the printer right now! Thanks so much Gloria! I can never stop with just one!! I wish I did too! Time to make more! Thanks Jocelyn! I just decided this week that I love making no bake cookies, I finally got the recipe right and they were delicious. 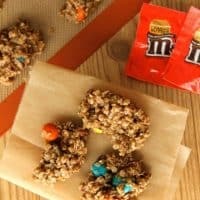 Now I think I am going to have to try your recipe because I absolutely love peanut butter M&Ms and these look so good. 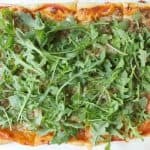 I would love for you to stop by and share on my weekly recipe linky, Kids and a Mom in the Kitchen http://totsandme.blogspot.com/2014/02/kids-and-mom-in-kitchen-72-rock-cycle.html Have a great weekend. Chocolate and peanut butter are always in a winning combo in my book! 🙂 Love these! These look SO good! My kids would go nuts for these! 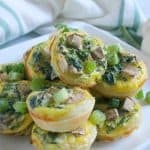 I love making these for on-the-go snacking! PB + Chocolate is the best and no bake is even better! I have never tried a no bake cookie but am really intrigued. I wonder if they would hold up in the mail too? Always looking for new cookies to send to our nephews in college. Hi Denise, I really don’t think these would hold up well in the mail. I do have some other ones that would like Apricot Almond Butterscotch Cookies, Coconut Crinkle Cookies or Peanut Butter Crinkle Cookies! I love how easy these are and M&M’s are a favorite at our house! Perfect lunchbox treat! I bet my boys would LOVE these!